Two-time CrossFit Games athlete Carleen Mathews (formerly Lessard) has demonstrated consistent and measurable improvement since her first regional appearance in 2012, when she took 18th at the North West Regional. 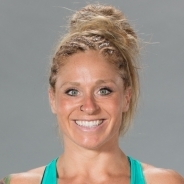 She rose to ninth and fourth the next two years, making her CrossFit Games debut in 2015 after a second-place West Regional performance and taking 36th at the Games. In 2016, she won the West Regional and finished the Games with a 13-place improvement, taking 23rd. In 2017 she again won the West Regional, however suffered an injury at the Games, having to withdrawal after the first day of competition. Owner of CrossFit Saint Helens in Oregon, Mathews overcame drug and alcohol addiction with the help of CrossFit. She currently runs and operates a program Power C.L.E.A.N, out of CrossFit St. Helens that is free to anyone with Atleast 48 hours clean and sober.